For too long, recruiting has been a purely reactive exercise: a need arises, recruiting “scopes out” job with hiring manager, a job description is posted, recruiting starts, job gets filled, recruiting ends. Over the past several years, organizations have begun to recruit “proactively” – identifying and interviewing candidates before the burning need arises, often keeping a pool or pipeline of “ready-now” candidates available until needed. While an improvement over reactive recruiting, this approach has a serious limitation: candidates don’t stay well on ice. 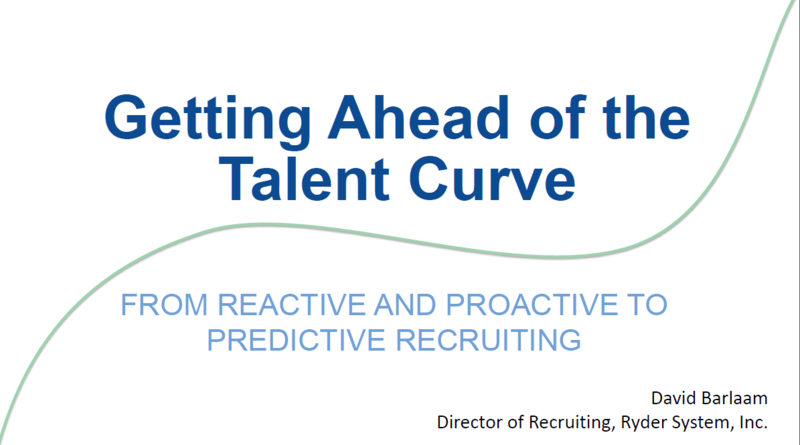 Through data and analytics, we can move past proactive recruiting into predictive recruiting – knowing what roles are likely to come open, where and approximately when, and recruiting and hiring for them before they are even on the radar.